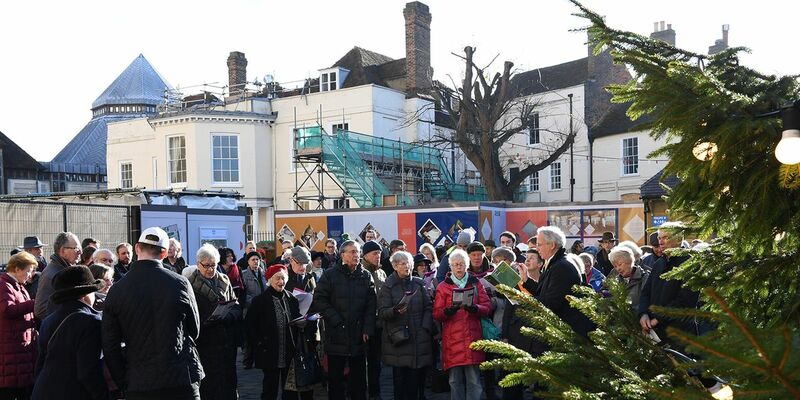 Join The Friends of Canterbury Cathedral, colleagues and contractors as we muster around the Precincts’ Christmas tree for some informal carol singing led by Dr David Flood, Master of Choristers. There’s no better way to warm up those voices in time for the Cathedral Carol services. There will be a collection on the day in aid of The Friends of Canterbury Cathedral, our Cathedral fan club. You can find out more about The Friends of Canterbury Cathedral here.